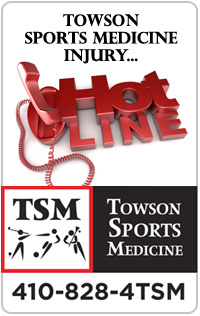 At Towson Sports Medicine, we treat all kinds of orthopedic injuries for patients of all ages. Our comprehensive rehabilitative programs are customized for each patient, from those recovering from total joint replacement and spinal injuries to recreational and competitive athletes. Whether you want to get back to athletic competition or just want to enjoy daily activities without pain, we offer a variety of therapeutic solutions including physical therapy, aquatic therapy, dry needling, osteoporosis management, concussion management, and vestibular treatments. Categories: Sports Medicine News. Bookmark this Event.